“Baby, It’s Cold Outside” is an Academy Award-winning popular song by Frank Loesser and is regarded as a Christmas song because of its winter theme. It became popular in the 1940s. Recently it made news for wrong reasons. Some radio stations banned the holiday standard owing to pressure from feminists and the #MeToo movement, while otherscontinued to play it. But I am more interested in the “cold winter” aspect that the song portrays. Is Christmas cold any longer? Did climate change make our Christmas last year less cold than in previous decades? I first stumbled upon this song during the Winter of 2009 in Norwich, UK. Being from India, I experienced snow for the first time that year, and the season was made perfect with classical Christmas numbers. It was also my first-time studying climate sciences at the University of East Anglia (UEA), considered a global leader in climate change research. The Climatic Research Unit (CRU) at UEA is studies natural and anthropogenic climate change, providing global temperature data sets widely used in climate research. The CRU became controversial in 2009 when thousands of leaked emails revealed that scientists at the lab, and across the globe, were intentionally manipulating data to make recent decades look warmer than they were. Those emails made me to delve deeper into the mystery surrounding the climate change controversy. Six years later, after analyzing hundreds of scientific papers, I understood that the global warming phenomenon has been vastly exaggerated. In other words, it really cold outside this past Christmas! Here is how we know that. While is true that our world has been warming, scientists tell us that the current warming is not unprecedented. 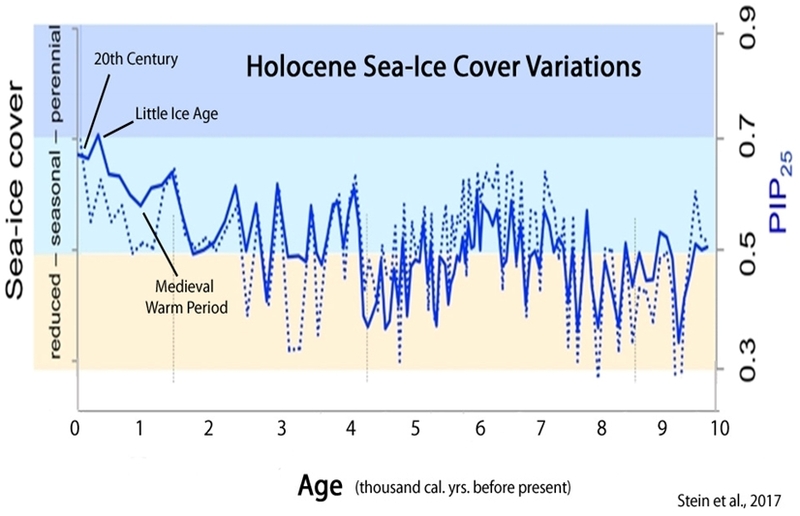 In fact, we’ve experienced similar warm periods in the past 2000 years. The current warm phase began after the end of the Little Ice Age in the 17th century. Since then, global temperatures have been on gradual and intermittent warming slope. Crucially important to the controversy over whether the warming has been manmade is the fact that there has been poor correlation with atmospheric carbon dioxide levels. Indeed, in both the long and the short term, temperature changes before carbon dioxide levels change. That makes it extremely unlikely that carbon dioxide, emitted when we burn fossil fuels to provide energy for everything we do, drives global temperature. Global temperatures have failed to rise significantly in at least the last 18 years, despite the rapid increase in atmospheric carbon dioxide levels. This is inconvenient, because it contradicts the claims made by the climate doomsday theorists. Besides, it also exposed the false forecasts of the faulty computer climate models used by a section of scientists at the United Nation’s Intergovernmental Panel on Climate Change (IPCC). This scientific fact is even acknowledged by staunch climate alarmists like Michael Mann and other top climatologists. Contrary to the lies propagated by Al Gore and his friends, both the Arctic and Antarctic continue to be in a healthy state. Paleoclimatologists, in their scientific publications, point out that both the poles are at their second highest ice levels since 8000 B.C. In recent decades, the Antarctic has been on an ice gaining spree, with the ice mass volume gain outweighing the loses. Polar bears, often used as the mascot of global warming, have been claimed to be at the brink of extinction due to man-made global warming. But scientific studies show that their populations remain stable and, in some places like Nunavut, thriving like never before, requiring mandatory culling to maintain the health of the local ecosystem. Contrary to the hot lies of climate alarmists, the global climate system is stable and not becoming dangerous. This November was 2.03˚F colder than the 1981–2010average for the month in the lower 48 United States. The Northern Hemisphere (North America and Eurasia) snow extent for the month of November was at a historical high, 1.47 million square miles higher than the 1981–2010 average. No wonder parts of U.S. celebrated their coldest Thanksgiving in 100 years! Earlier this year, cities like New York registered record snowfall (its highest in 130 years), and cities across the U.S. and Canada broke 80-year old record-lows. And, the immediate future looks no different. Forecasters have warned that a Polar Vortex could unleash harsh winter conditions in North America and Europe during the months of December, January, and February. These are some of the many facts that disprove the doomsday lies about extremely hot temperatures that make snow and ice disappear. There is conclusive evidence to suggest that we are not in danger because of climate change. Yes, it is really cold outside, and we have no reason to stop dreaming about a white Christmas. Vijay Jayaraj (M.Sc., Environmental Science, University of East Anglia, England), Research Associate for Developing Countries for the Cornwall Alliance for the Stewardship of Creation, lives in the Warm Tropical City of Chennai, India. Next Entry American Military Interventions; We Can, But Should We?